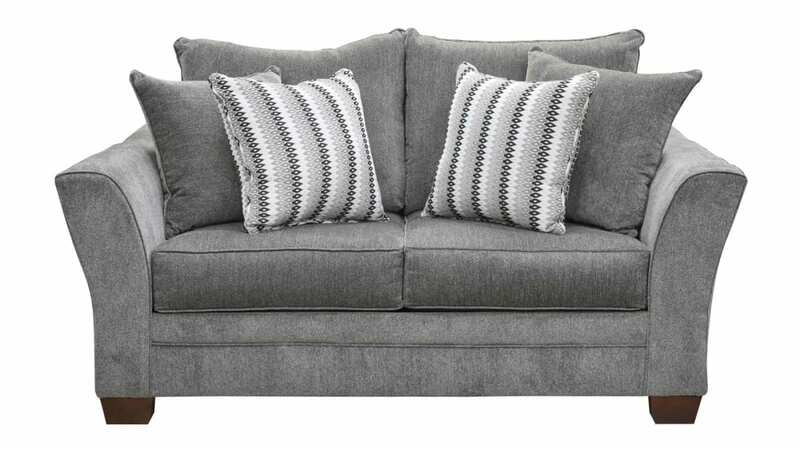 Enrich your living space with this excellent loveseat's smooth, charcoal-colored upholstery, gorgeous contemporary styling, and masterful American craftsmanship. 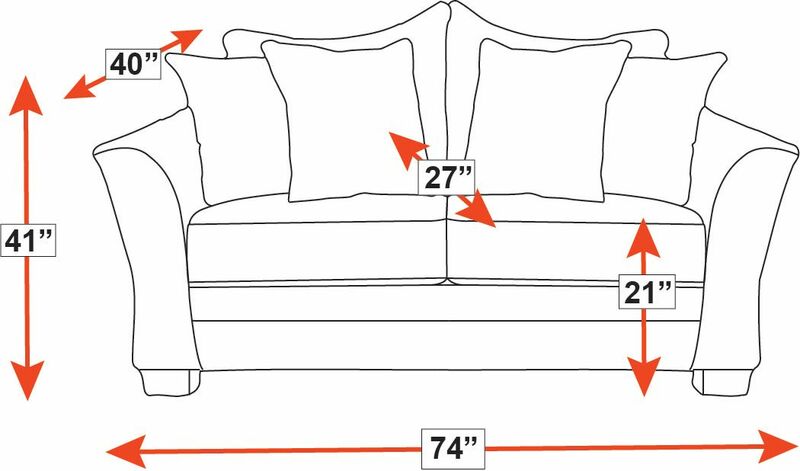 Get excellent comfort by refreshing your living room TODAY, thanks to Gallery Furniture! This loveseat was proudly Made in America! Sleek lines and a contemporary style will breathe new life into any living space. The attractive, charcoal-grey upholstery is smooth and will work with many color schemes. Four lovely accent pillows are included.